In the Mid-Atlantic, the mighty stink bug is only a few weeks away from moving from the fields towards your home. Now is the time to start implementing this years preventions. 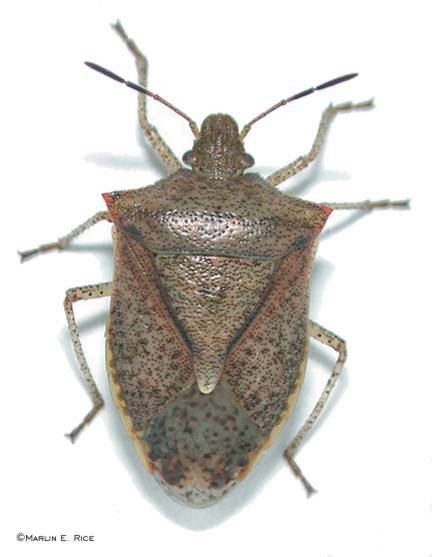 The number one myths about Stink Bugs is that pesticides will not kill them. This is false, and is probably spread because the newspapers are interviewing farmers, and that is true, farmers do not have food-safe pesticides that are will kill the stunkbug reliably. However, there are household pesticides that will work. Last year, many homeowners and pest control companies were very successful at controlling incoming bugs with Cyper WP. This is a relatively safe (always read the manufacture’s Product MSDS) pesticide thatcan be used indoors and outdoors. At the end of Aug through Oct, it can be applied to outside surfaces where the stink bug travels as it searched for an entrance to your house. It creates a barrier that when the Stink Bug travels over, will kill it within 2-3 hours. It can also be applied indoors in attics, crawl-spaces, and basements. However, for best results, apply every other week to your roof eaves, tops of outside walls, around vent entrances, and anywhere that you have seen Stink Bugs crawling. It will not 100% eliminate your problem, however it will have a huge impact. In the Spring as the Stink Bugs leave your house, you can reapply to affected areas. Cyper WP will leave a reside, so only use where it will not be seen, or will not be noticeable (roof eave). As an added benefit, Cyper WP will also help to control bees and wasps who try to nest in your eaves and crawlspaces. It will also eliminate spiders and ants in basements. Spray in on the outside of your house, and you will notice a significant reduction of outdoor pests, including scorpions, roaches, wasps, etc. And, as I wrote about before here, go buy a BugZooka Bug Catcher Vacuum NOW to capture the stray bug that does make it past the Cyper WP into your house. PLEASE, do not buy expensive books or traps, they are almost all scams. There are only three proven ways to protect your home from invasion. Seal all cracks and opening as best as possible, use a barrier pesticide like Cyper WP, and clean up any strays with the BugZooka. Thanks for sharing this information about stink bugs, I found it very helpful to me. Cool blogthat you have here by the way. Your links have been helpful to me. I hope I have been helpful too. 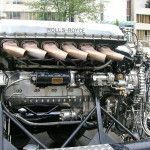 The Rolls-Royce Merlin – Could it be the best piston engine ever?